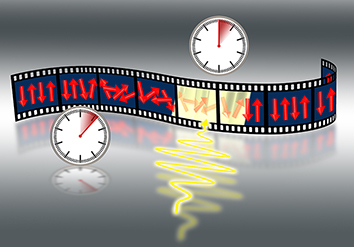 In recent years, the optical control of exchange interactions has emerged as an exciting new direction in the study of the ultrafast optical control of magnetic order. In this article, we review recent theoretical works on antiferromagnetic systems, devoted to (i) simulating the ultrafast control of exchange interactions, (ii) modeling the strongly nonequilibrium response of the magnetic order and (iii) the relation with relevant experimental works developed in parallel. In addition to the excitation of spin precession, we discuss examples of rapid cooling and the control of ultrafast coherent longitudinal spin dynamics in response to femtosecond optically induced perturbations of exchange interactions. These elucidate the potential for exploiting the control of exchange interactions to find new scenarios for both faster and more energy-efficient manipulation of magnetism. This project is part of a new research direction that we aim to develop based on our extensive experience for multi-scale modelling op laser-induced nonequilibrium dynamics of magnetism. On the one hand, it aims to predict how solid state magnetic materials can be dynamically manipulated to exhibit learning behavior, a property usually associated with the brain. On the other hand, it aims to exploit neural principles to describe the dynamics of quantum spin systems more efficiently on classical computers using concepts from machine learning. Basing on methodologies from condensed matter theory, both approaches will be developed in close connection with theoretical neuroscience and experimental condensed matter physicists, ultimately aimed at enabling information processing concepts that operate at orders of magnitude lower energy cost than existing technology. In a publication in Nature Communications, we have shown experimentally that a strong pulse of light can have a direct effect on the strong quantum mechanical 'exchange interaction'. The results are supported by theoretical calculations and suggest that reversing the poles of magnets must be possible without using heating or a magnetic field. Picture by D.V. Afanasiev. Press release available from Radboud University. 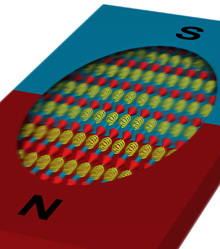 In a publication in Nature Communications, we have predicted that the interactions that govern the collective behavior of microscopically small magnets (spins) in magnetic materials can be controlled with light both reversibly and almost instantaneously. This provides a theoretical basis for more efficient magnetic recording technology. 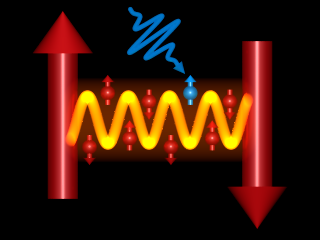 Moreover, the finding implies the highly counter-intuitive consequence that the magnetic dynamics can effectively run backwards in time under the influence of a sufficiently strong time-periodic laser field. Picture © MPSD J.M. Harms. Press releases available from Max Planck Institute for the Structure and Dynamics of Matter (English) and Radboud University (Dutch). The magnetic forces in materials like iron can be rapidly manipulated with light. We have demonstrated this theoretically in a publication in Physical Review Letters by combining two recent major methodological developments. Rapid and effective manipulation of magnetic states is of high fundamental and technological value. For example, it could be used for the development of faster hard disks. Press releases available from CFEL and NWO. 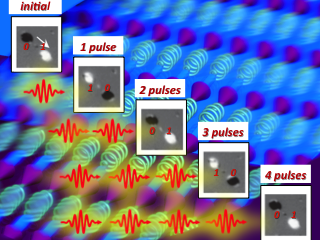 Using a new type of camera that makes extremely fast snapshots with an extremely high resolution, it is now possible to observe the behaviour of magnetic materials at the nanoscale. This behaviour is more chaotic than previously thought, as we reported with an international team of scientists in Nature Materials. Press release available from Radboud University. You will find my PhD thesis here. With an international team of scientists we have demonstrated a revolutionary new way of magnetic recording without the use of a magnetic field. Instead we could record information using only an ultra short heat pulse – a previously unimaginable scenario. 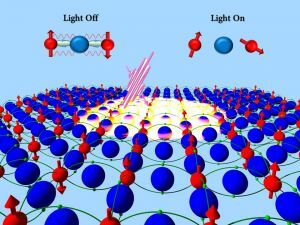 As reported in Nature Communications, this discovery may not only allow information to be processed hundreds of times faster than by current hard drive technology, but it can be more energy-efficient too. Press release available from the University of York. A new theory on how magnetism actually works on short time scales opens up possibilities for whole new experiments to rapidly store data. The theory is published in Physical Review Letters. We are able to explain recent highly counter-intuitive experimental results on laser-induced magnetic switching and provide predictions for new and revolutionary ways of controlling magnetism. Press release available from Radboud University (in Dutch).